I first read David Weber and Timothy Zahn’s A Call to Duty last year. I’ve long been a fan of both authors and I purchased the eARC (Advanced Reader Copy) from Baen’s eBooks without hesitation. I’ll say right off that the book is every bit as fantastic as I had hoped. The characters are fantastic, the setting is great, and the story is very engaging. I particularly love seeing the great Star Kingdom of Manitcore in its infancy, watching the growing pains as it develops, and seeing it evolve. The main character, Travis Uriah Long, has his flaws. He’s got a painfully narrow focus and an inability to keep quiet when he sees something as being wrong… no matter how much trouble it gets him into, along with a social awkwardness that only gradually begins to fade. To make matters worse, his half-brother dabbles in politics and since Travis is in the military and his brother is in league with the politician swinging against the military, things get a little difficult for poor Travis. The book comes with all the exploding spaceship goodness that you can expect from a Baen read, along with the above mentioned fantastic characterization and gripping story. Even though we know where the Star Kingdom will eventually end up, there’s enough tension because we have no idea what will happen to our characters in the process. While our intrepid hero might well make it through the series, there are no guarantees. All in all, if you are a fan of anything Weber or Zahn, this book, and the series it begins, is definitely worth a read. You can find it on Amazon here. NEW SERIES FROM NEW YORK TIMES BEST-SELLING AUTHORS. Book #1 in Manticore Ascendant, a new series set in David Weber’s best-selling Honorverse, from multiple New York Times best seller David Weber and #1 New York Times best-selling author Timothy Zahn. FIRST TIME IN PAPERBACK. Growing up, Travis Uriah Long yearned for order in his life . . . some things his neglectful mother couldn’t or wouldn’t provide. So when Travis enlisted in the Royal Manticoran Navy, he thought he’d finally found the structure he’d always wanted so desperately. This quote is one I’ve seen chopped, abused, misused, and misquoted quite a few times. Most often, of late, I’ve seen the first sentence used in relation to current events… missing entirely the meaning of the full statement. I’ve seen it in video games, heard it in speeches, read it in books. It is a quote that speaks to anyone who has ever served in combat, because we understand it at our souls. Why does this come up now, of all times? Because in times like these, when terrorists attack innocent people and we, in turn, bomb the places where they have support, it is something to remember. Humanity will never truly be without war, because we will always have differences and disagreements. Conflict is wired into us, just as firmly as the tribalism that causes us to identify into groups of “us” and “them.” While diplomacy and discussion are methods to bring peace, they rarely bring any satisfaction or long-term resolution when between social groups. The human brain is wired for conflict, to settle issues in the most basic fashion: I win, you lose. What happens in war, at least modern war, is that the conflict is such that neither side wishes to surrender until defeat is proven, until a side is forced to admit their defeat. This was the paradigm for World War II. The Allies continued the war until the Germans and Japanese forces were defeated, until they surrendered and afterwards their nations were occupied and restructured by the victors. Yet the price of such a war is catastrophically high. Millions die. Not just soldiers, but civilians. Cities were bombed, civilian populations were targeted, and the societies that suffered such casualties rejected war, empirically, in order to prevent its future outbreak. What they did, what they hoped to do, was to contain human nature, to tame it, to pacify the beast with law and diplomacy. Yet this can only work until some people feel that their grievances are such that the law and diplomacy will not suffice. When the animal parts of their brain tells them that they are right and everyone else is wrong… and the best way to prove that is to do violence on them until they surrender. When individuals do this, it is murder or assault. When a society, or even just a large minority of a society does this, it is war. Make no mistake, we are at war. When a societal band declares that they will harm you until you do what they want, they have declared war in the most basic way possible. This conflict is one based upon economic, societal, and lastly religious reasons. This is not the time for diplomacy, for discussion. Logic and empathy both have their places, but only when it comes to moderating our response. When someone attacks you, you don’t make apologies for them, you don’t discuss why they are called to violence or what harms you have done them. You hurt them back. You hurt them until they stop hurting you. The same goes for nations and societies. The people who attacked in Paris are the same people who have attacked in Bengazi, they are the same people who have attacked on 9/11/2001. They are the same people who bombed the USS Cole and the Marine Barracks in Beirut. They are the products of a radicalized version of their religion, one which promotes violence, victim-hood, and which feeds off of provocations. Their stated intent is to draw the West into returning their attacks, to then mobilize more of their society to support them. We have tried for years to prevent a full-scale war. We have targeted terrorists, we have moderated our responses. As a result, we have emboldened those who think such restraint is a sign of weakness. They don’t understand our desire to hold back the full strength of our response. In our position, they would wipe us out (or try, because in truth extermination of a people is far harder than they realize). We have come to the point where these two world-views can no longer coexist. When a society does not restrain its members, when a people encourage their children to kill ours, then we have come to a point where we are left with no recourse. Conflict must have resolution. Restraint, taken too far, is just a suicide pact. Diplomacy will falter when one side does not bargain in good faith. Read it again: War’s purpose is to settle a conflict. To end a difference, to use force upon those who will accept no other bargaining point. Because there will always be those to whom violence is the first choice. There will always be those who must be stopped, despite the costs. Seek peace, seek diplomacy, but never forget that war will come and we must always be prepared. Prepared to fight for what we believe in, to protect our families and our way of life. War has come. Winter is upon us. I’ll preface this by saying that I read the eARC version of Her Brother’s Keeper and I did that several months ago when it was first available. 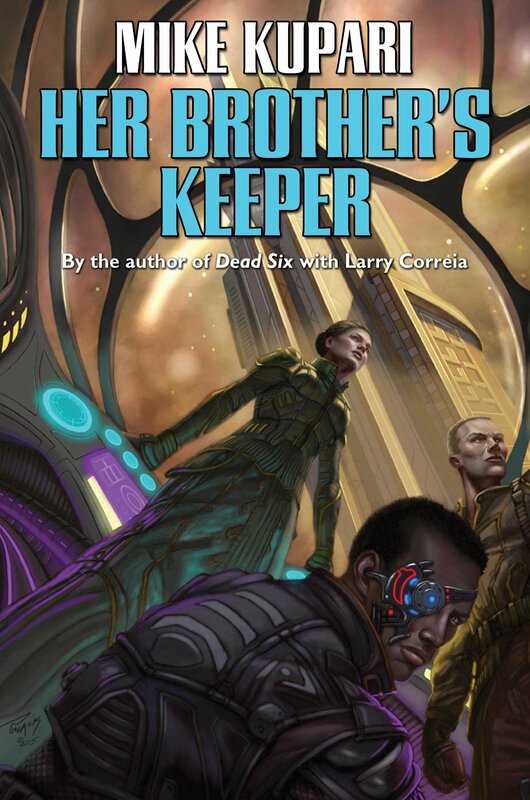 Her Brother’s Keeper is a solid space opera novel with definite elements of Military Science Fiction. The characterization is solid and the story is engaging and exciting. Mike Kupari has woven a tale whose characters have influences in Homer’s Odysseus and Horatio Hornblower and with a story that is at times as dark as David Drake’s works. All in all, the characters were interesting, the adventure was solid and the characters who survive all have interesting growth. A good read for those of you looking for a new author and I’ll be reading the future books. DEBUT SOLO NOVEL FROM THE CO-AUTHOR OF DEAD SIX. Air Force weapons expert Mike Kupari, co-author of Dead Six and Swords of Exodus, offers up a science fiction adventure. When privateer Captain Catherine Blackwood is enlisted to rescue her brother from a treacherous warlord, she finds herself on her most dangerous mission yet. It’s been years since Catherine Blackwood left the stodgy, repressive colony world of Avalon. Now the captain of the privateer vessel Andromeda, she is the master of her own destiny. But Catherine soon finds herself back on Avalon after receiving a plea for help from a most unlikely source: her estranged father, esteemed Avalon Council member Augustus Blackwood. It seems Catherine’s brother, the heir to the Blackwood aristocracy, has gone off in search of treasure on the failed, chaotic world of Zanzibar. But Cecil Blackwood’s plans have gone very, very wrong, and he has been taken hostage and held for ransom by a fearsome local warlord. Augustus, knowing his daughter is the only one who can be trusted to return his son safely, swallows his pride and hires Catherine to bring her brother home. Catherine takes the job—but it won’t be easy. Just getting to Zanzibar proves treacherous. And once she arrives, things only get worse. If she is to save her brother, Catherine Blackwood must face down danger at every turn and uncover a mystery four million years in the making. November is here, which means 2015 is rapidly coming to a close. 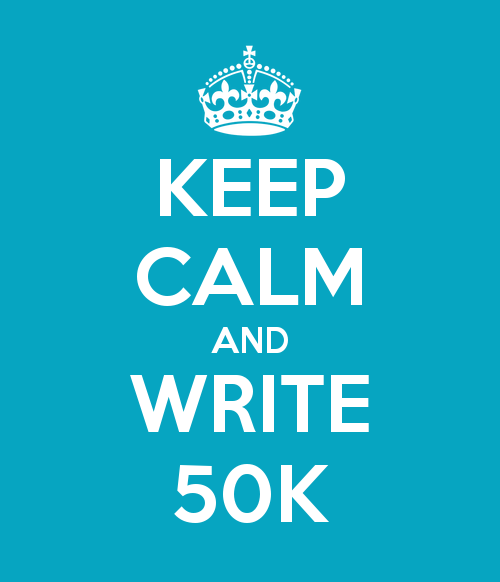 Looking back so far, I’ve had four books published this year, I’ve finished an additional novel, and I hope to have two more finished and sent off to my beta readers by the end of the year. Most recently, Henchman Press just released my book, Odin’s Eye, the sequel to Fenris Unchained. What excited me about that novel was trying to one-up myself. Fenris Unchained is a novel full of twists and turns, a spy-thriller set in the far future. Odin’s Eye takes that basis and goes the route of a high-tech heist, as the characters must steal a sophisticated computer algorithm from a high security facility on a corporate-owned planet. Think Ocean’s Eleven (the newer one) set in space with mercenaries, cyborgs, and genetically modified super soldiers. For this month, I’m trying to close out The Fate of the Tyrant and I’m starting to spin up on Renegades: Out of the Cold. My goal is to finish the next Renegades book by mid-December and to move on to other works. In other news, I’ve got a day job now and I’ll soon be relocating to Denver. While Colorado Springs has been home for me for the past three years, I’m excited to give Denver a try. Plus, as a bonus, it’s still Colorado, my favorite state.